Gone So Long has everything a novel could ask for: It’s a literary page-turner that explores the grit and pain of working class lives through complex personalities and beautifully pungent, multisensory language. After Linda accidentally becomes pregnant, she and Danny marry, and for three years they make an almost-steady family with their daughter, Susan. But, inflamed by jealousy, Danny fatally stabs Linda one night. He is sent to prison, and Susan is raised by Linda’s mother, Lois, a lonely, overprotective, onetime beauty who smokes too much and, as time goes on, ignores her blood-pressure medication. When Danny is paroled 15 years later, Lois yanks Susan from New Hampshire to Florida to make it tougher for her father to find her. In fact, it takes Danny—now calling himself Daniel, and in the advanced stages of prostate cancer—25 more years to pull up the courage to seek out his daughter, as the book begins. At age 43, Susan is an adjunct English professor, miserably trying to write both a memoir and a novel, and doubtfully married to a fellow teacher who is passionate about the avant-garde jazz saxophonist Ornette Coleman. Learning that Daniel has written to Susan—and that Susan is seriously considering meeting with him—Lois races to block the potential reunion. 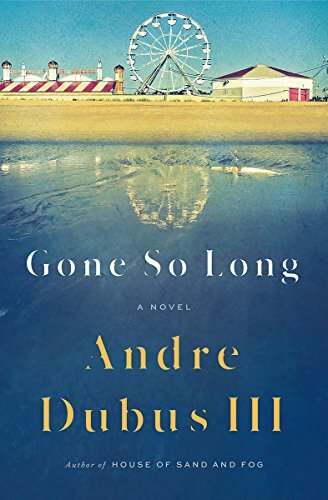 Author Dubus has been deservedly winning praise and awards for years, often for his evocation of the kind of hardscrabble working-class milieu of Gone So Long. His third book, House of Sand and Fog, was a New York Times bestseller and National Book Award finalist. This new book’s only major flaw is that, at 480 pages, it sags and repeats at times. Yes, the tension in the last 150 pages is almost unbearable—in a good sense. But Dubus drags out the denouement just too much: Will Daniel buy the hideous, overpriced, green summer jacket to impress Susan? And the lighter-green slacks? And the shirt “the color of cream with tiny palm trees the same color all over it”? And the belt? And the shoes? And the sunglasses? And how often do we need to read about Danny’s eyes and nose, or his painful urination (in lurid detail)? As well, Susan’s unhappiness slips at times from in-depth character development to whininess. So, some readers might indulge in a bit of careful page-skipping. Yet they shouldn’t skip too much. Once again, Dubus has produced a powerful book that will shake and punch his readers as painfully as his characters, too, are pummeled.